This is the first post in what I hope will become a somewhat regular feature on Urban Indy. 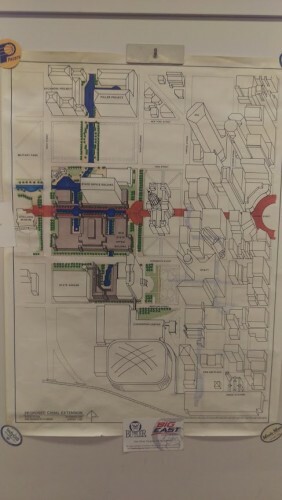 A few months ago, my coworker found this sketch of a proposed downtown canal extension, along with a Convention Center. In addition, there would be brick pavers all the way to the State Capital building from Monument Circle, and on through to the west. I’m unsure how far in the planning process this was. Google comes up empty on this one. Incidentally, I’ve heard that there used to be a requirement for all downtown proposals to submit 3-dimensional views similar to this one. It would be nice to have something like that again if possible. That wouldve been interesting, you know iu is planning an extension on the other side of 70 for their massive master plan. Can you explain this more? 70? IU Health? Extending the canal? I’m confused. Is the planned IU extension actually to the other side of I-65? 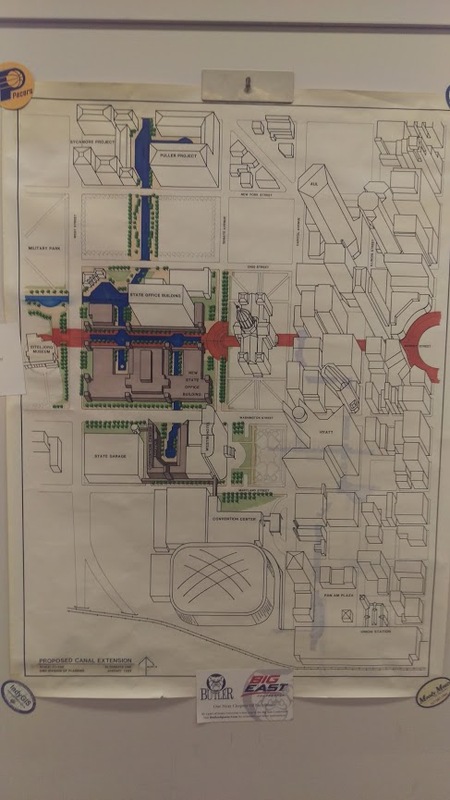 Regarding the sketch, this might represent one of the original plans (or options) for the then New State Office Building. I recall some cost cutting when the building was built and canal extensions to the south could have been part of that. The IndyStar archives probably have a lot of info on this. Water Company might, too.